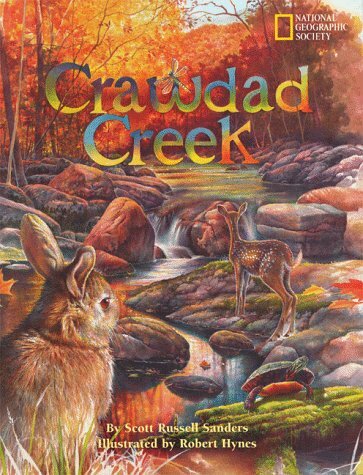 From the same duo that created the award-winning Meeting Trees comes this book that invites youngsters to explore the amazing variety of wildlife that can be found in and around a backyard creek. Scott Russell Sanders is the author of more than two dozen books for children and adults, some drawn from history, some from imagination. As writer, teacher, and public speaker, he seeks to convey his wonder at the vast, marvelous, unending show we call nature, and his curiosity about the two-legged species to which he belongs. Robert Hynes is an illustrator for the National Park Service and Smithsonian Institution, among others. He has won numerous awards from The Society of Illustrators, Communication Arts, New York Art Directors Club, and Washington Art Directors Club.